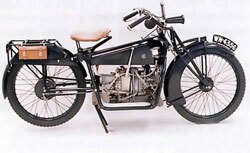 The first ABC in-line flat twin appeared in 1913. 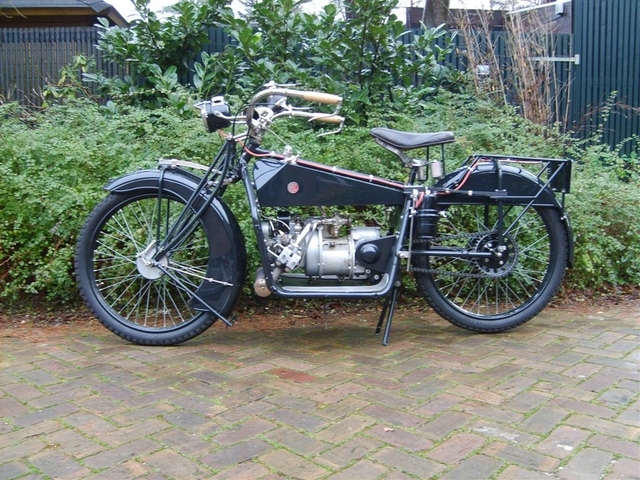 Of these early models (built 1913-1917) only three or four exist today. 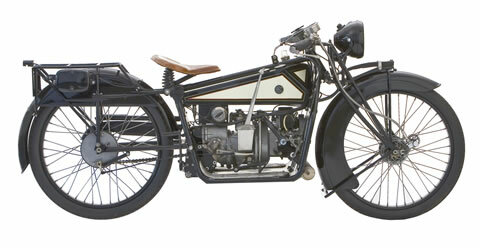 From 1919 onwards the ABC twin was made under licence by the Sopwith Aviation & Engineering Co in Kingston-upon-Thames. It had a duplex frame with leaf spring suspension, in-unit flat twin engine set across the frame with clutch, gearbox all bevel drive. 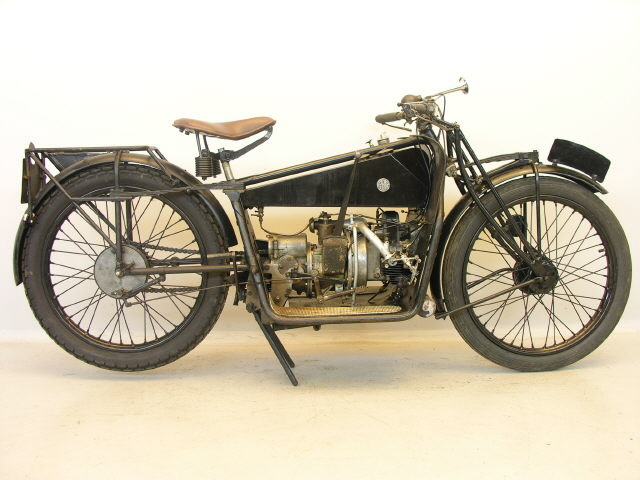 Some 2200 were made, of which only about 10% survive, a remarkably high number for a vintage motorcycle. 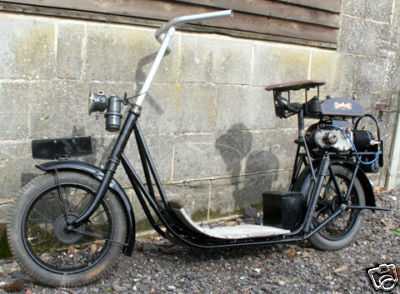 Various types of valve gear conversion sets were made available later, and speedometers, electric lighting sets and sidecar outfits were optional extras. From 1920 to 1924 the machine was also made under licence in France by Gnome et Rhone. Some 3000 French models were manufactured but relatively few seem to have survived. More ABC classic bike information. 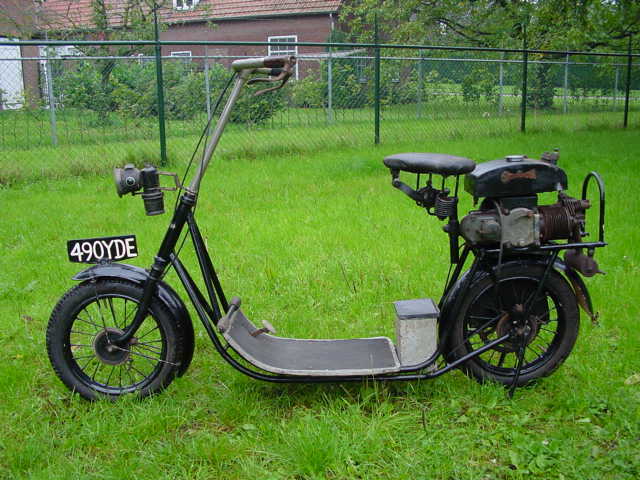 The ABC Skootamota, designed by Granville Bradshaw, was the first scooter which allowed the passenger to sit, so it's considered the forerunner of the modern scooter. It was well designed. The small wheels made it very stable. Its engine is positioned above the rear wheel, which it drives by chain, and the saddle and spacious footboard provide ample comfort for the rider. Of the various early scooters that came on the market around this time, the Skootamota was the best. It was comfortable and easy to ride. Its top speed is 15mph. 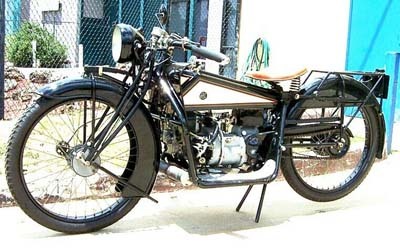 Skootamota ceased production in 1922. But the seeds were sewn ...after World War 2, its concept was revised and modernists have not looked back since.